At the end of the year, it's always an appropriate time to look back on the past 365 and rekindle fond memories. 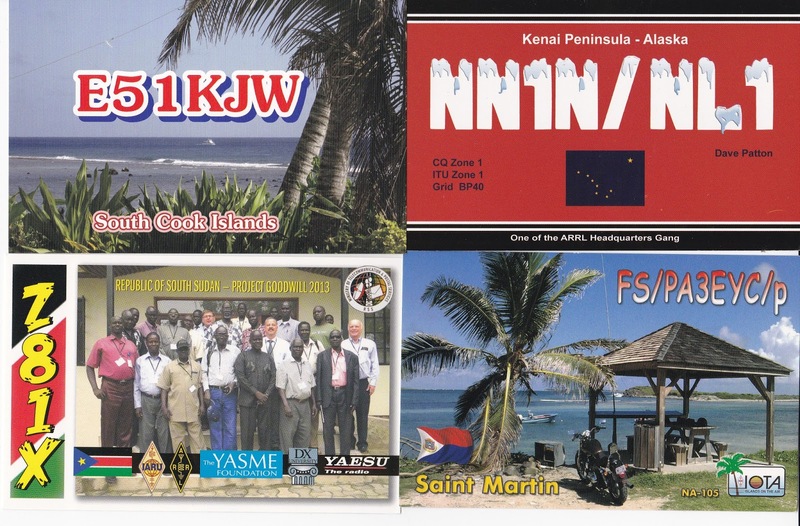 Amateur Radio-wise, I'd have to say that 2015 was a pretty good year. I had the opportunity to play on the radio a lot (altough, not as much as I would have liked). I worked a few ATNOs and had the opportunity to enjoy a lot of outdoor QRPing. The 2015 NJQRP Skeeter Hunt was a rounding success and I am happy about that. I had the results up within three weeks and I'm especially proud of that. You fine folks make the effort come out and participate. I know the Skeeter Hunt is not the most sought after operating event in the Amateur Radio world, but at the same time, I know that those of you who do participate are eager to see how you did amongst your peers. It will always be a top priority of mine to never disappoint you in that regard. I was interviewed by Eric Guth 4Z1UG for his "QSO Today' podcast and got to share my Amatuer Radio story with a lot of people. I also had the chance to make a PowerPoint presentation about "QRP and the Great Outdoors" and got to share that with one of the local radio clubs. Marv K2VHW and I completed another Technician class in the early Spring and helped another 18 or so people earn their tickets. 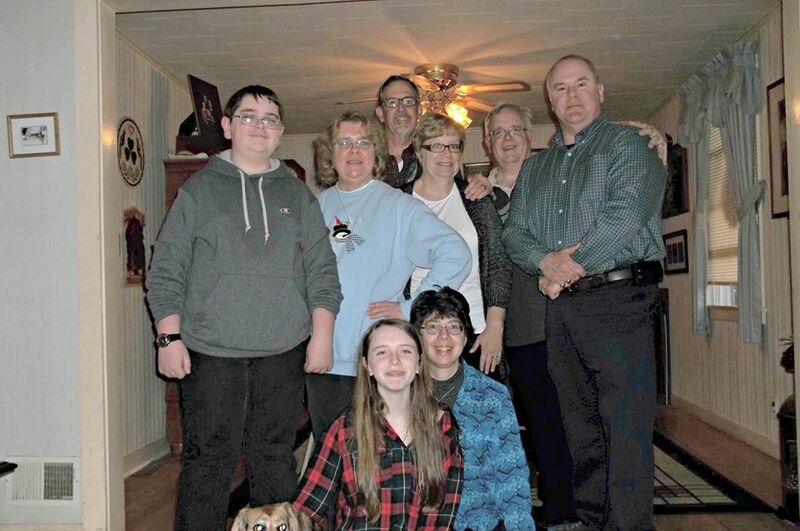 The South Plainfield Amatuer Radio Club spread its wings a little bit more. We had another successful Field Day and we helped get some newcomers involved in HF via the "Rookie Roundup" events. We even got a picture in QST! We also became an offical ARRL Affiliated Club. So all in all, radio-wise - life is pretty good. 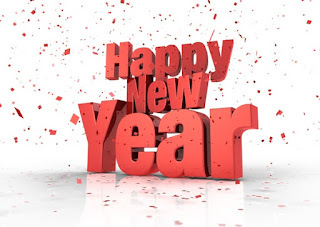 Hopefully, 2016 will be an even better year, with more operating, more building and more fun. National Parks on the Air promises to be a huge player in the coming year and I am looking forward to working a lot of activations as well as activating a few National Park units myself. So to end 2015, I send all of my readers a huge "Thank You" for stopping by and reading this blog whenever you get the chance. I am also sending you my wishes for a very happy, joyous, healthy and rewarding New Year - may you always be surrounded by family and friends. 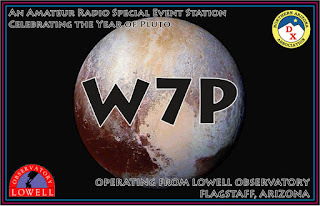 Finally, may your logbooks be filled with many QSOs, may your keys always be busy pounding out brass and may your microphones bring you into many warm, friendly and enjoyable conversations! First - The NJQRP Skeeter Hunt for 2016 is moving from the second Sunday in August to the third. So please mark Sunday, August 21st on your calendar for this year's Skeeter Hunt. There are two reasons for this. The most important is that yours truly has an outstanding monthly commitment each 2nd Sunday of the month. That's the Sunday I go help out at the soup kitchen in the next town over. I kind of blew that off the past couple of Augusts, and that's not right. 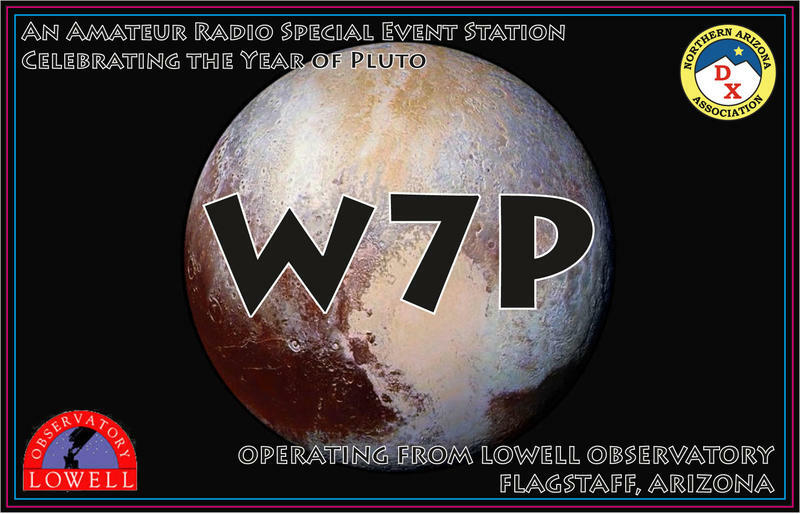 There are some things more important than Amateur Radio, and this is one of those. But hey, the organizer shouldn't go AWOL, right? (That's how I feel, anyway). So I have moved it back a weekend to the third Sunday in August, where it shall occur forever more. Another added benefit is that this makes the spacing between Flight of the Bumblebees, the Skeeter Hunt and QRP Afield and the Peanut Power Sprint a bit more even. 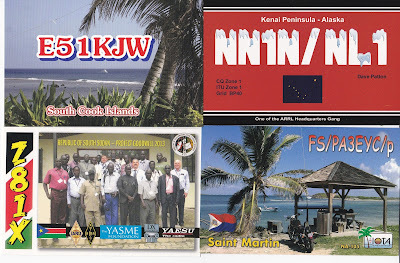 Second - I have gotten blessing from Sean Kutzko KX9X to incorporate NPOTA into the NJQRP Skeeter Hunt this year. Is that COOL or what? I'm not exactly sure how it's going to all work out. Maybe bonus points for activating an NPOTA unit for the Hunt - or possibly some special "memento" for activating an NPOTA unit during the Hunt. I'll have to ruminate on that one for a bit - but there's time. Third - On a personal level, Sean announced some new NPOTA units the other day. 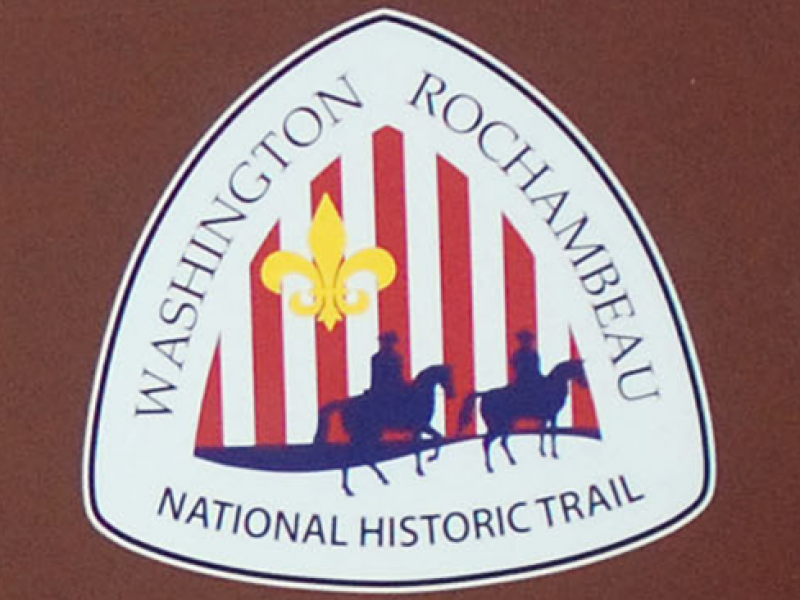 This was a biggie for me, because in the Northeast, the Washington - Rochambeau Historical Trail was added. This is the route taken by General Rochambeau's French forces and General Washington's Continental forces as they both marched on towards the siege at Yorktown, which all but brought the American victory in the Revolutionary War. The Washington - Rochambeau Historical Trail is within a stone's throw from my house - literally. 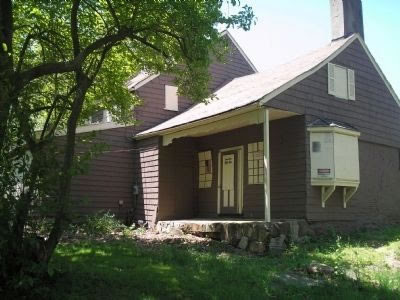 To make this situation even better, there is the Frazee house located on the trail in Scotch Plains, NJ - the next town over. Rather than try and explain the significance of the Frazee house in my own words - allow me to post something from the official Website. "As the legend holds, after the Battle of Short Hills, General Cornwallis and his troops passed by the house while marching toward the Watchung mountains, located a few miles to the north. Known to the locals as a prolific baker, Aunt Betty was baking bread at the time. Hungry and tired, the troops smelled the bread and Cornwallis approached her stating, "I want the first loaf of bread that next comes from that oven." Betty is said to have replied, “Sir, I give you this bread through fear, not in love.” Evidently impressed by her courage, Cornwallis is said to have stated, “Not a man in my command shall touch a single loaf.” While history offers evidence that Betty lived in the house and did, indeed, bake bread, the story of the actual conversation is not authenticated by primary source documents. The words allegedly spoken by the principals are found in the earliest authoritative source on the subject, F.W. Ricord's History of Union County, page 513, which is one of the sources cited in the National Register of Historic Places filing that led to the Frazee House being placed on the Register." I'll have to look onto getting permission to operate from the property that the house is on. If that's not obtainable, there are plenty of other locations that can be operated from on the Trail, right in my local area. 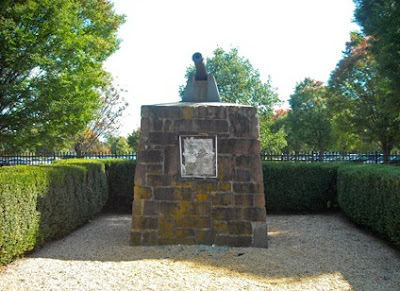 In fact, right in front of the Ashbrook Golf Course, is a monument to The Battle of Short Hills. 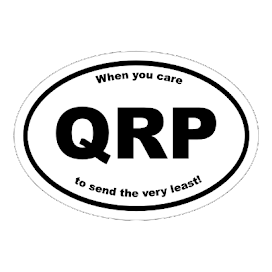 I saw this posted on the 4 States QRP Group e-mail reflector. I added NY4G's blog to the blog roll and am posting a link to his "challenge". He calls it "QRP Wars - The Morse Awakens". Now the question is - can it be done? My answer is, "Yes, I think it can." Even with the worsening solar conditions. But (and there's alway's a "but") I think this competition favors those who are retired and can send mondo amounts of time on the radio. It also favors those of us on the East coast, who are closer to Europe and the Caribbean. 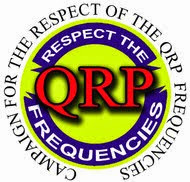 And with the ARRL DX Contest which is held in February, if you really put your mind to it, it should be possible to work QRP DXCC within 100 days. Am I going to put my money where my mouth is? Not sure at this point. I just might try it for fun and just may keep a "diary" of the effort here on the blog - just for the halibut. Let me cogitate on it for a while. I have a couple of days left until 2016 rolls around. “Davey, I'm worried. It's getting close to eleven o'clock and not a word from your father.” Donna confided to Davey. He didn't want to scare his mother, but he was starting to get worried, too. His dad had thought he'd be home by 9 o'clock and it was past that. Worse, there were no answers to repeated calls to Jason's cell phone. Each call went directly to voice mail. In his room, Davey had made calls on the TCARC repeater, trying to raise his dad. Those call resulted in no contact, either and that's what was concerning to Davey the most. “Do you think we should call the police?” she asked Davey? Donna made the telephone call, and within minutes the police showed up at the Bolton's door. Donna explained what had happened and Davey, making a split decision, had to set things right. The officer informed Dave, Donna and Maria that there really wasn't too much they could do at this point. Jason was only two hours overdue and generally a person has to be missing for twenty four hours before you could file a missing person report. But they took all the information about Jason Bolton's Jeep and said they would put a word out to the local police stations between Springdale and Pleasanton. They would inform Donna if anything developed. “But George, it's Christmas Eve! Do you think you'll be able to get anyone to help?” Tears started coming down her face. Just as George Mason had expected, the phone chain had worked. Four members from the TCARC who were also CERT members had shown up at the Bolton house. They all met in the dining room, looking at a state map on the table. He continued on, “The police feel it's most likely that Jason took either State Highway 9, Pleasanton – Spring Valley Road, or Old Post Road. Maybe if we team up by two and head out to Pleasanton on the roads, we'll find out what happened. I'll stay here and man the radio and act as a Net Control. John and Bob – you two take State Highway 9. Tim and Wayne, you take Pleasanton – Spring Valley Road. Jason Bolton had regained consciousness. Everything was kind of woozy, and his head hurt on the left side, towards the front of his scalp. He felt something warm against his face. It was Barney! Barney had gotten out of his carrier and miraculously, was no worse for wear. He had been licking Jason's face when he came to. “Barney, good boy! It looks like we're in kind of a jam, boy”. Jason took stock of his situation after a few minutes. The car was on it's side in a ditch. The passenger side was “up” and the driver's side door was “down”. The air bags had deployed and something was pinning his left arm down. He could move and wiggle his hand, but couldn't free his left arm, and his left side hurt like blazes. Talking to himself out loud had a calming effect. He knew that the very least thing he needed to do now was panic. He was able to reach into the center console and found an old rag that he kept to wipe the inside of the windshield from time to time. “Not exactly sterile. But I can use this to possibly stop this scalp wound from bleeding.” He placed the rag on his scalp wound and kept in place by gingerly putting on his ball cap. This makeshift compress worked and the bleeding slowed down to more of a seeping, instead of a free flowing situation. “Now, let's see about the microphone.” He pulled on the coiled cord with his right hand only to fine that it was stuck on something. When he eventually managed to wangle it free, Jason saw that the microphone was smashed into bits. Barney sat by George's side wagging his tail. He seemed to be happy to be with Jason, regardless of the circumstances and that fact alone buoyed Jason's spirits. The makeshift search and rescue team set off from the Bolton's house, each taking their route to Pleasanton. It was going to be slow going as not only was it snowing, but each team wanted to make sure that they didn't become a casualty to the situation as well. George Mason acted as the Net Control. He had the explicit permission from the TCRC leadership to take full control of the repeater for as long as this took. He made an announcement on the repeater, notifying all on frequency of the gravity of the situation and asking for their cooperation. “Net Control this is Team One, WA2CBA reading you loud and clear. “All teams, on my mark, it will be 12:00 Midnight, local time. I will call for status reports every 15 minutes. If you come across anything, at any time, report in as necessary. 1, 2, 3 …... Mark”. While all this was going on, Jason Bolton had the under dash Icom on scan. Since it was Christmas Eve, there wasn't much activity on any frequency. Luckily, he heard the net being called up. He muttered a quiet prayer of thanks to God that at least people were looking for him. But in addition to not being able to talk through his microphone, he also noticed that the culvert he was in was deep enough that he couldn't see the road. 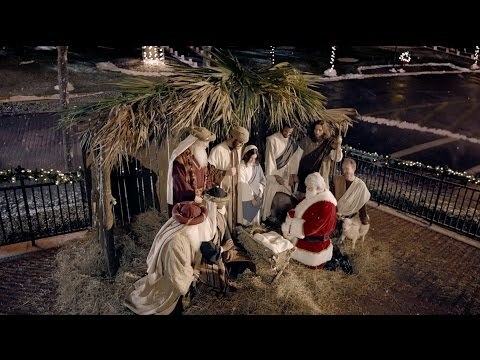 If he couldn't see the road, how would they seem him? This was compounded by the fact that it was snowing just hard enough that any skid marks left on the road would soon be covered. And it was getting cold, very cold. Barney hunkered even closer to Jason to try and keep warm himself. Dave and Jim, and the other teams were all more or less halfway to Pleasanton and didn't see anything. In between 15 Minute call-ups, N2EBA kept calling KD2JMJ. He slowly shifted in the car seat. It was tough going because he was on his side, and hardly had use of his left arm, which was pinned to his side, but he managed to get the knife out. He carefully brought his right hand to his left and then deployed the blade. He set the knife down in his lap, and then pulled the microphone over. With a bit of effort he cut the microphone cord, exposing the wires. He racked his memory, trying to remember which two wires were the ones he needed. He began toughing them together. As the teams were driving, they noticed the static that had been plaguing the repeater was back. Davey got disgusted with himself. “Geez, I thought we cleared that all up. Now it's back when we need it the least!” Jimmy tried to re-assure his friend, “Take is easy Davey. Don't worry about that now. Just keep a look out for your dad's Jeep”. Within another hour, the three teams reached Pleasanton. It was 1:00 AM, Christmas morning. They each met up at the address of the house where Jason had picked up Barney, and they all checked in with George before turning back towards Springdale. Meanwhile Jason, kept “calling” for help by touching the microphone wires together. He heard the net's chatter about the interference, so he know he was being heard. But how to get them to notice that is wasn't the repeater problem that his son has fixes, but that it was him? He decided to keep doing what he was doing and hoped for the best. Jason Bolton couldn't believe his ears! He was hoping against hope they would notice his attempts at a signal and not keep mistaking them for interference. It seems George N2EBA had noticed a rhythm to the static bursts. The dog noticed Jason's excitement, and let out a bay that beagles are know for. Jason though it was loud enough to wake the dead. Jason touched the wires together for five seconds, and the stopped. Jason did as directed. You could hear the excitement in N2EBA's voice but he maintained a calm demeanor. Davey nearly jumped out of the car seat. “Jimmy, that's my dad! He's alive!” Jimmy was glad for his pal, but cautioned him, “Chill Davey, this is good news, but we still have a ways to go. Let's give Mr. Mason some time to work on this. Jason Bolton pressed the wires together once. Two static bursts came back. One static burst came back. Three static bursts came back. The next thing George Mason noticed was Donna Bolton hugging him wildly. Tears were streaming down her face and she was speechless. 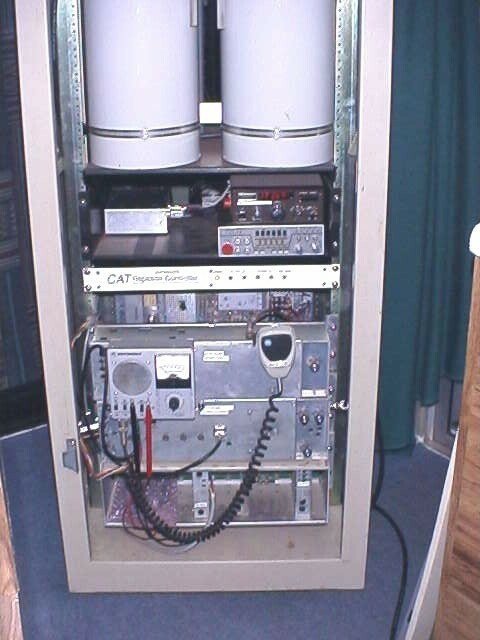 The next voice heard on the repeater was AA2AM. “KD2JMJ this is AA2AM. We didn't see any skid marks on the way to Pleasanton. They must have gotten covered by snow. If there's any way you can signal us, it would sure help us find you”. One single static burst came back. Davey knew his father would signal them somehow, he just had to figure out what that signal would be. Jimmy drove carefully and purposefully. They hastened their way through stretches of road where there was flat land on either side of the road. Anywhere there was was a ditch or a culvert, they slowed down. Davey had opened his window and had a hand held, battery operated search light sweeping the sides of the road. As they came to the next patch of road that had roadside ditches, Jimmy slowed down some more and Davey opened his window to sweep with the search light. That's when he heard it. Jimmy did and they saw nothing on the side of the road heading to Pleasanton. They turned around and headed towards Springdale again. Jimmy stopped and they both got out and walked along the side of the road. The followed the marks and sure enough, there was Jason Bolton's Jeep, on it's side on the ditch. Dave scrambled down to the Jeep and gave it a wide berth. He didn't want to make the situation worse. Once he saw the car was stable on it's side and wasn't about it tip over further, he bent down hear the windshield and pointed his searchlight into the car. His Dad was sitting there and Barney was right by his side, his tail wagging a mile a minute. Meanwhile, Jimmy called back into N2EBA with the news that they had found Jason Bolton. He reported that they would need a wrecker, an ambulance and the crossroad they were nearest to. George called the State Police and everything was put in motion. It wasn't long before the Police, EMS and a Fire Rescue team arrived to do the extraction and transport to the hospital. It was about 6 o'clock Christmas morning, when Jason Bolton arrived at St. Joseph's Regional Hospital, accompanied by Davey and Jimmy. While Davey went in to be with his dad, Jimmy sat in his warm car with Barney. A half hour later, George and Jeannie Mason and Donna Bolton and Maria all arrived at the Emergency Room. In a short while, the ER Doctor on duty came out to the waiting area. Davey, Maria and his mom walked into the Emergency Room cubicle. At that Davey laughed. Maria, and his Mom and Dad all looked at him quizzically. The "Big Ride" is over, and as Santa takes a well deserved rest, here are my hopes and wishes that you found that "special" gift under your Christmas Tree. 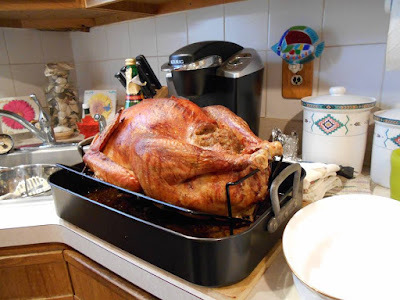 That your day is filled with the love and warmth of family and friends, and that you may be comforted by memories of loved ones from Christmases past. 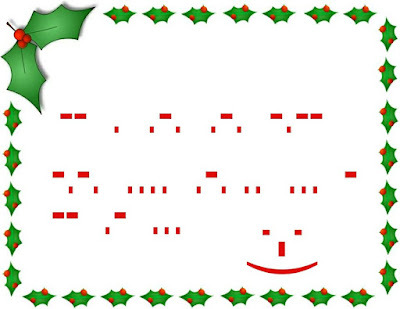 A very Merry Christmas, everyone! PS: Taking the day off from blogging - "A Christmas Rescue" will continue tomorrow. The days leading up to Christmas were busy. Dave busied himself by working with the Technical Committee of the Twin Counties Amateur Radio Club to try and solve a problem with the club's repeater. It seems the members would be bothered by an intermittent hash or raspy static at times. Dave, with the help of the other members of the Technical Committee basically took apart and rebuilt the entire repeater, component by component. The checked every connection on the receiver, transmitter, duplexer and just about everywhere else, looking for something obvious. Unfortunately, it seems like it's never anything obvious in cases like these. They changed connectors, jumper cables and even replaced a few suspect capacitors in the power supply. They hoped it would be enough to alleviate the situation. The only other areas left for troubleshooting were the antenna, tower and feed-line itself. Looking at those during the current were weather pattern were not an option. It had been snowing everyday since Dave had arrived home from school. Some days more, some days less, but it was still beginning to pile up, even by Springdale standards. This winter was shaping up to be one of the snowiest in Dave's young memory. It made for hazardous driving, but if you took your time and were careful, it wasn't a problem. Dave was finishing up work on the repeater when he looked at his watch. It was 1:00 PM on Christmas Eve. Dave had been working with Bob, KB2VMG. “You're right, Dave, it's getting late. Time files when you're having fun, don't it?” Bob jokingly answered with a wry smile on his face. He was glad they were nearly done, too. Troubleshooting these kind of problems was always a challenge, and sometimes a headache. Dave set off for his Mother's car and went into town. He needed to buy gifts for his mom and sister, and it was still a new experience for him. Being alone with just his Dad for so many years, he still drew a blank at times when it came to buying gifts for females. But in this case, he was lucky as he knew exactly what he wanted. A down vest for Maria to wear when she went skiing and some scented candles and soaps for Donna. They were both pretty easy to buy for. Within an hour or two, he had made his purchases. As he was driving home, the HT in his pocket came to life. Dinner at the Mason's was as spectacular as everyone thought it would be. There was enough food to feed the 8th Infantry Division with leftovers to spare. And it was all exceedingly delicious. The Boltons, the Masons and the Stapletons thoroughly enjoyed each others company and the evening. 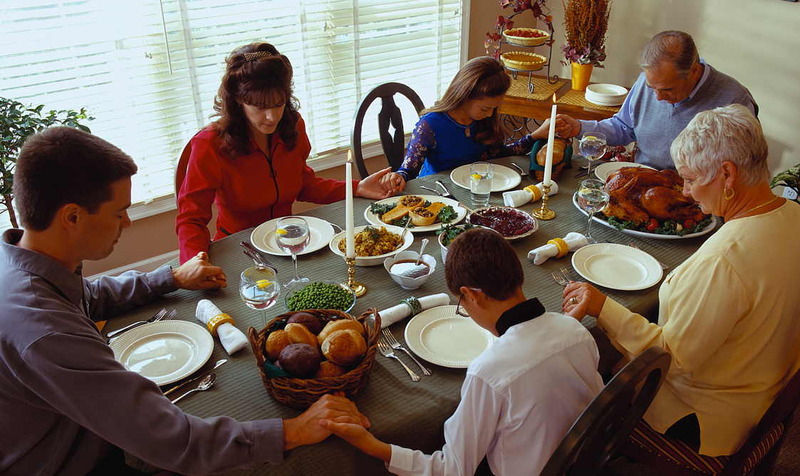 Everyone agreed to meet at the Bolton's house the next morning for Christmas brunch after Mass. As everyone was sitting down to dessert and coffee in the living room, Jason Bolton's cell phone rang, as on cue. “Jason Bolton, speaking. May I help you?” Of course, Fred was on the other end, allowing Jason the opportunity to play the charade out. With that, Jason Bolton took off for Pleasanton. The drive went quietly and uneventful. The roads were not all that busy, as everyone was already home for Christmas already. He found the address easily enough and knocked on the door. “Mr. Bolton! I'm so happy to see you and so is Barney.” Barney came bounding up and jumped up onto Jason when he saw him come in the door. His tail was wagging ferociously and he was practically doing somersaults. “He looks happy to see me.” Jason said. Mrs. Buckley was gone for a few minutes and Jason bent down to play with Barney. Barney was alternately licking his face, and then laying down on his back so Jason could give him a tummy rub. Jason handed Mrs. Buckley the adoption donation, signed a few papers and then the two of them put Barney into his carrier. That was no chore at all, as Barney was used to being toted around to local pet stores on adoption days. With that, Jason put Barney's carrier in the back of the Jeep and headed off for home. As he was headed towards the state highway, he had heard on the AM news station that he was listening to of some major construction delays. “Who does road work on Christmas Eve?” he thought to himself. At that he decided to take one of the parallel running back roads. He thought it would probably save him a half hour or so in delays. He turned on the VHF radio and put it on scan. Maybe he'd hear an interesting conversation or two to pass the time on the way home. The drive home was going smoothly when all of a sudden, he noticed a car, off in the distance, coming in his direction, and driving erratically. The driver was weaving in and out of the lane. “The guy's probably drunk from some office Christmas party.”, Jason disgustedly thought to himself. Jason flicked on his high beams and sounded the horn to warn the oncoming driver that he was now in Jason's lane. Coming straight at him, and dangerously fast, it was all Jason could do to jerk the wheel to get out of the way. 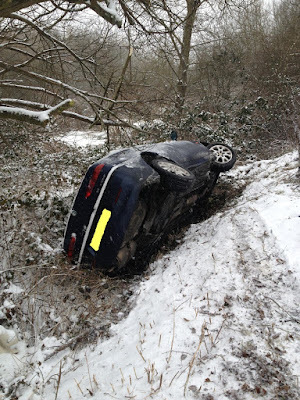 He had avoided a head-on collision, but in doing so, had hit an icy patch and skidded off the road into a culvert. He banged his head pretty badly against the side window in the process. All he could see was the world somehow weirdly upside down, and the air bags deploying, as he blacked out. And as on so many other nights, this is how the HF conversation on 40 Meters began between Dave Bolton and Jimmy Stapleton. The two young men had been fast and best friends for as long as they were able to remember. But time had moved quickly since then. No longer in elementary school or even high school, they managed to maintain their friendship via Amateur Radio. After both had upgraded their licenses to Amateur Extra, Dave had left for college in another state studying to become an Electrical Engineer. Jimmy had gone to State College near their home of Springdale, in hopes of earning a degree and career in journalism. Even though distance separated them, they bridged that gap via Ham Radio. Dave used the University club station, Jimmy used his station at home. “I was wondering when you're leaving for home. I will see you over Christmas break, won't I?” Jimmy asked. As soon as he had said, “Mom and Dad”, Dave himself still couldn't believe how much had changed in the last decade. His mom had passed, he had graduated from both elementary school and then high school, with high honors. Dave was the valedictorian of his class at St. Thomas Aquinas High School. He was accepted to the University that he was attending on a partial scholarship due to his academic achievements. His Dad had also remarried. Throughout his Mom's illness and death, Jason Bolton had kept in touch with Donna Pescarelli, Abby Bolton's best friend. Donna was a widow herself with a daughter, Maria, who was the same age as Dave. Jason and Donna's friendship had grown into something more, as time passed, and the two realized they had fallen in love with each other. Not quite the same as the love each had shared with their first spouse, but deep enough to realize they wanted to spend the rest of their lives together. To Dave it had made perfect sense. His Dad was still a young man and needed that kind of relationship in his life. He was perfectly happy with their marriage and the addition of a step-sister. Dave and Maria had gone to the same school and had always maintained a friendship. Being brother and sister was great. But the house had become crowded! For a long time it was just Dave and his Dad. Now two women had moved into the house and at times, even though it felt a bit crowded, it definitely felt like “home”. Dave was knocked loose from his revelry when Jimmy's voice came through the speaker again. “Dave, you're not driving home, are you? The weather for the next few weeks is looking very iffy. We already have six inches of snow on the ground and the Weather Service is predicting more.” Jimmy advised. “No, Bud. I'll be taking the train. In fact, I was wondering if you could pick me up at the train station tomorrow afternoon? My train should be at Springdale stallion somewhere around 2:00 PM”. “Yes, yes you do.” Jimmy laughed. “I'll expect payment in full one night at The Landmark”. The Landmark was a comfortable little Mom and Pop grill/restaurant in Springdale that attracted a lot of families and friendly neighbors. It wasn't huge, by any means, but it was friendly and the food was excellent. It was a favorite of Dave and Jimmy's. After finishing up with Jimmy, Dave packed everything he would need over break, including the new VHF/UHF mobile radio he had bought for his Dad. He was proud that his father had finally “bit the bullet” and had studied for, and earned his own Amateur Radio license this past year. Jason Bolton was the proud owner for the call sign KD2JMJ, and made friends with a lot of the local Hams that has mentored both Dave and Jimmy early on in their Amateur Radio careers. Dave wanted to give Jason something new for his Jeep. The old Icom VHF only radio that was in there was growing long in the tooth, and with this newer model, both would be able to keep in touch easier via IRLP links on their respective local repeaters. The night passed quickly and the day dawned gray and murky. The snow that was forecast had already begun falling. Dave was glad that he wasn't driving the long four hour trip home. The train would bring him back to Springdale easily enough, and he had a pre-arranged ride home from the station. What more could he ask for? 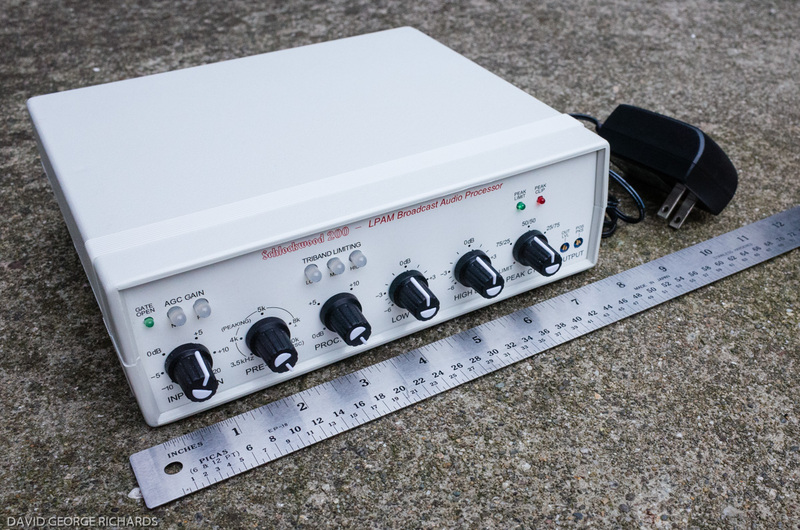 The trip went uneventfully and when he was miles still out of Springdale, Dave brought up the Twin Counties Amateur Radio Club repeater on one of the memories on his hand held radio. Jimmy was about to answer when he heard the call sign “N2EBA” announced on the frequency. George Mason, N2EBA was Dave and Jimmy's “Elmer”. He guided the boys from their pre-Amateur Radio days all the way through to their Extra Class licenses. Even though he and his wife, Jeannie didn't have children of their own, they both came to regard the two young men as their own grandchildren. The boys were uncomfortable with calling their friend by his first name. It was ingrained in both of them to treat their elders with the utmost respect. But since they knew George really wanted them to, they acquiesced. “Fine business” N2EBA said. “I'll pass on the compliment to Jeannie; but you know guys, both your mothers are no slouches when it comes to cooking, you know”. The three passed the time away catching up and filling each other in with tidbits of news. Before Dave knew it, the train was pulling into the station. The trio bid each other 73 and within a half hour, Dave was sitting next to Jimmy who was driving him home. It felt good to be back in Springdale. He had been so busy with his studies at work that he hadn't realized how much he had missed home. When Jimmy's car pulled into the driveway at the Bolton residence, Dave noticed that Donna's car was in the driveway, but his Dad's wasn't. The two young men went in the backdoor. “Dave!” Donna practically shouted and ran over to him and gave him a big hug when he walked into the kitchen. “Hi Mom!” Dave answered. It still took a bit of getting used to – calling Donna Bolton “Mom” but it grew easier each time. She truly was like a second mother to Dave, she treated him in every way as if he were her natural born son. Deep down inside, Dave knew his “real Mom” would have had no problems with their relationship. “Well, Maria is at the library. She's doing some research on a paper for school and she needs to look through some periodicals that aren't available on the Web”. Maria Pescarelli was a student at the local community college. She wanted to become a physical therapist and their county's school had the reputation as having the best program in the state – better than any of the in-state colleges or universities. She was doing a paper on repetitive motion injuries in the workplace and needed to look up some of the latest statistics in the professional journals. “I'm sure he's fine Mom. I tell you what, let me give him a call on the repeater. Maybe he's listening”. “I heard that!”, Donna shouted from the background. As the two young men settled down for a warm drink, Maria arrived home from the library, followed by Jason Bolton a few minutes later. With the family all at home, Donna Bolton was able to relax and treated them all to a sumptuous and memorable meal. Jason Bolton laughed, “In a way, she was right Dave. I was at the animal shelter in Pleasanton. You're mom has mentioned several times how she had a dog when she was younger. The shelter there has some beagles that came from a pharmaceutical lab. The dogs were going to be used for testing a new shampoo that the company was going to be making, but they scrapped their plans and had no use further use for the beagles, so they brought five of them over to the shelter for adoption. I heard about this from Doris, our Office Manager at work. 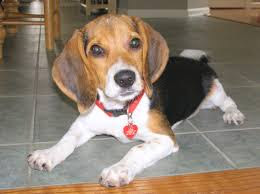 I went over to look at the beagles and am going to get one for your Mom as a Christmas present. I think she'll be thrilled. You should have seen them, Dave! They were practically jumping out of their skin when they saw me, they were so excited. Except for one, who was just a bit smaller than the others. He was quietly snoozing on the lap of one of the volunteers there. When I went to pet him, he woke up, took one look at me and started licking my face like there was no tomorrow. I think he's going to be the one – his name is Barney. Tonight is a special NAQCC MilliWatt Sprint. "Special" in that this Sprint is in addition to the regular "full gallon" QRP Sprint, which is held each month. I am going to try and get some time in on this one. 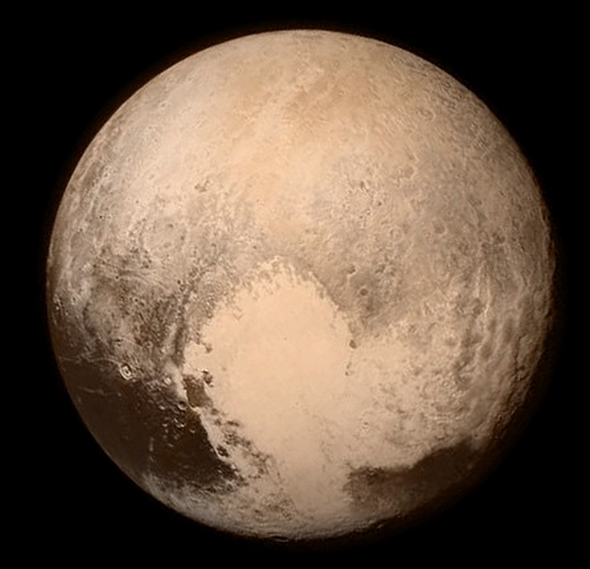 It's held from 8:30 to 10:30 PM local time, here on the East coast. I have a South Plainfield Amateur Radio Club meeting that starts at 7:00 PM, so I should be home somewhere before 9:00 PM at the latest. I don't know how long this meeting is going to last, as there's a special topic on the agenda. SPARC has become an official ARRL affiliated club and I'm bringing the beautiful certificate that the League sent us. I like the milliWatt Sprints, because as a dedicated event unto themselves, they are rare and a challenge. This one will also give me a chance to give a workout to that McElroy straight key that I recently acquired. Last night, band conditions were beautiful for the 40 Meter QRP Foxhunt. I had an ambient noise level of about an S1. The signals from both Foxes, Jim N0UR in WI and Drew K9CW in IL jumped right out at me. I believe that last night was one of the fastest "2-fers" that I have ever had in over a decade of Fox hunting. I am hoping that those beautiful conditions will be present tonight, as well. It's just as well that I won't be present for the entire Sprint, anyway. Two full hours behind a straight key is hard on my hands. I think I've mentioned this before, but I have pretty bad arthritis in both my hands, which I attribute to my Dad. (Sorry, Dad!) My father and uncle owned a small butcher shop / grocery store that they opened after returning from WWII. I worked there just about every summer since I was about seven years old, until I was eighteen. As I grew older, I went from stocking shelves to doing actual butchering. Handling cold meat for a living does a number on your hands. After he retired, my Dad's hands were a mess. He didn't have many fingers that weren't gnarled. My hands are nowhere near as badly off as his were, but if I work a straight key too long, I get a painful "tooth ache" feeling in my hand. The same thing happens if I don't wear gloves in cold weather. I could use my Vibroplex bug, but I haven't been on it in a while now, and I don't want to inflict any unnecessary pain on my fellow NAQCC members! Spacing - the most important thing. It took me a while to figure out that this said "Merry Christmas". At first, I thought it was starting with a "g" - to me the spacing was off. So. of course, I had to comment - which I shouldn't have done. I always get in trouble when I comment. I posted, "Same to you, but your spacing is off.". Which probably went over like a lead balloon. "It was great the first time also. A good CW operator can copy no matter what the spacing of the characters. Thanks for sending." Really? Wow - then I am definitely not as good a CW operator as I had thought myself to be. To me, spacing is everything. If the Morse is "run on", whether it's typed or pounded, then I can't read it and I can't copy it aurally, either. I wonder .... am I alone in that? So here's a question, a hypothesis for you, if you will. Feel free to comment, The gentleman who posted that comment may have a very valid point. Have we (I) gotten spoiled by keyers and paddles? Do we (I) expect more "perfect" code than we used to get in the days when straight keys and bugs dominated the landscape? Have our ears (at least maybe my ears) gotten to the point where they're spoiled by perfectly produced electronic dits and dahs? Maybe back in the days when almost everyone was mechanically sending Morse Code, it was easier to decode a fist that was less than perfect - because less than perfect was the norm. Spacing as well as the length of dits and dahs was all over the place and ears were used to copying Morse sent "all over the place" - especially on the Novice bands In fact, this is how we came up with the concept of someone's "fist". Do you think this is a reasonable theory? That a really good CW operator should be able to copy a variety of fists, even lousy (sorry!) ones? I think I can do that, at least I used to think I could do that, but I have to admit - when the spacing is terrible, and sometimes it is, I am at an utter and complete loss. If I hear Morse that soundsmorelikethis,allditsanddahsrunningonwithoutanyspaces - then it's as hard for me to copy as it was for you to read that last little bit. And to be honest with you, if it's that bad, than I simply would rather not even try. I hope that's not perceived as uppity or condescending - it's probably more of a lack of ability on my part. I marvel at the stories of the "pros" who could copy Morse at 40 WPM while making coffee, eating breakfast, walking the dog and chatting with the mailman. I'm lucky if I don't get distracted by a mosquito or an itch or the urge to sneeze - all of which can totally mess me up. I wish I was that good - sadly, I am not. Maybe I'm just getting old, and my powers of concentration are not what they used to be. Anyway, skipping to a different topic, I had two nice short little "ragchew" type conversations during lunch today. One was with Mike WB0AGU near Kansas City, MO and the other was with David N4IVE in NC. The QSO with David was 2X QRP. 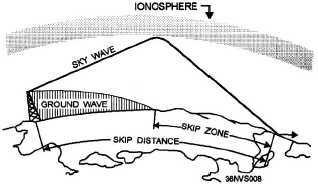 He was using an OHR homebuilt kit radio to a full sized 20 Meter loop antenna. His 3 Watts was coming in like gangbusters. I told David that I used to have the OHR 20/40 and thought it to be an excellent radio. OHR offers good stuff. Then David asked where my OHR went. Truth be told, it was sold to provide financing for other radio purchases. Another point of wondering ..... I wonder how many of us (if any of us) are lucky enough to have every radio ever purchased? I think the norm is to buy, sell and buy up - at least that's been my experience. How about you? W7P was calling CQ all lonely like on 17 Meters during lunch today. Got him easily, with 5 Watts and the Buddistick on the Jeep. I hear him calling on 40 Meters tonight. 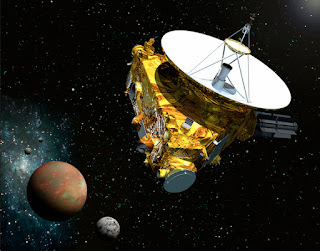 I wonder what the miles per watt rating is from the Horizon spacecraft. 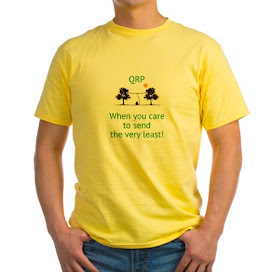 Now THAT'S probably QRP! Here are the pictures of the Christmas Tree that I promised in last night's post. We got ourselves a Colorado Blue Spruce from Griffin Tree Farms in South Brunswick, NJ. Marianne spotted this one and picked it out. I like going to Griffin Farms because it's located on Fresh Ponds Road, and that's the road where the farm was located where my Dad was born, so many years ago. This is the "Before" photo. This tree is actually two trees that are conjoined at the very base. Two separate trunks made it a bit difficult to get into the tree stand. I doubt you can see it in the photo, but I had to stick some 1X2's in there to brace it up. It was a lot of work, but it's so pretty and it smells so good! This is the "After" photo with the lights,star garland and decorations on. The Angel has to be below the very tip as there's no room between the tip of the tree and the ceiling. Mucho thanks to my son Joey for helping me get this into the stand and decorating it. I'd still be at it if it weren't for him! Yesterday, we went and bought our Christmas tree. Decorating will happen today, and I'll post pictures later. In the evening, Cara attended her high school Cotillion. I dropped her off around 8:00 PM, and went back home to wait for the text to pick her up. What's a Dad to do with a few free hours? If Dad's a Ham, then the ARRL 160M contest, that's what! 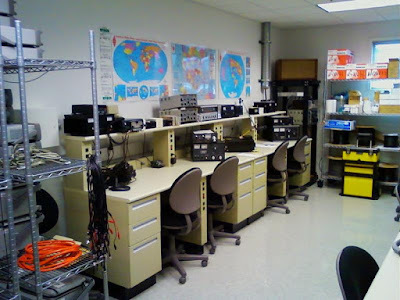 I was hoping against hope, because just two weeks ago, on the Tuesday before Thanksgiving, the QRP Foxhunt group performed a little impromptu 160M Foxhunt. That night turned out to be a bust as I had an S9 noise level all evening, and was not able to hear anyone all night. Last night, I turned on the KX3 and found a noise level of about S1, and the band was bursting with signals. Hot chocolate! As I've enumerated before, the only thing I have for 160M is my W3EDP antenna. The KX3 matches to it quite nicely. After tuning for a few seconds, the SWR was about 1.2:1, and I was in business. I began to twiddle the dial and began making contacts, as a "Giver of Points". Two hours later, I got the text from Cara to come pick her up. In the meantime, I had made 68 QSOs. I worked up the East coast as far down as South Carolina. Towards the West, I worked IN, IL, IA, MO and WI. Not bad for an antenna that was really never designed to work on 160 Meters! After I came home, I tuned around for a little bit and worked a few more. It was getting close to Midnight, and it was time for me to hit the sack. I pulled the "Big Switch" and turned in, quite content to have a bunch of new 160 Meter contacts in the log. Exciting times in Middlesex County! Last evening, I attended a CERT (Community Emergency Response Team) "Meet & Greet" that was hosted by the Middlesex County Office of Emergency Management. First, a little background .... Middlesex County is the second largest county, population-wise in New Jersey. Only Bergen County has a larger population. We are one of the most densely populated counties in New Jersey with a density of 2,621.6 people per square mile (as of 2010). 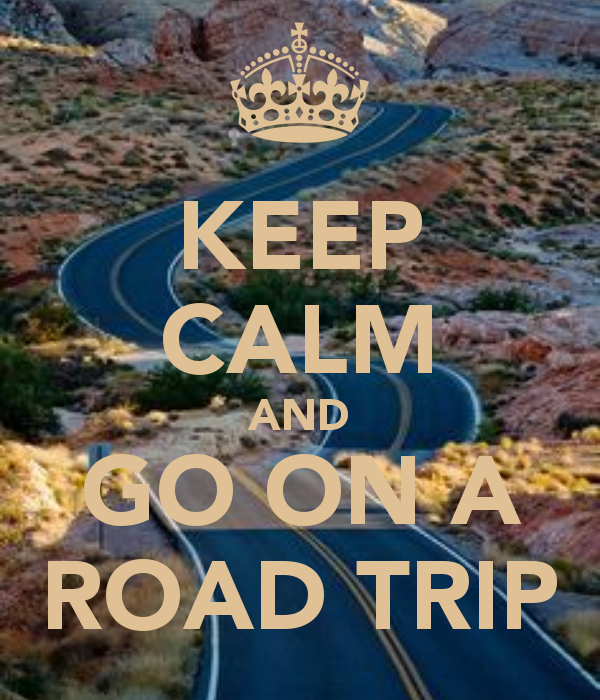 There are several major thoroughfares that pass through Middlesex County, including the New Jersey Turnpike (I-95), the Garden State Parkway, I-287, as well as US Route 1, US Route 9 and US Route 130 - just to name a few. 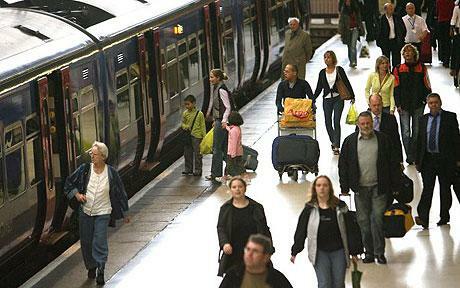 In addition, there are numerous miles of railway (both freight and passenger) that run through the County. All this to give you an idea of how busy it is around here. Last night's meeting was designed to bring the various municipal CERT Coordinators and their teams together, to meet each other as well as to be informed about goings on at the County and State levels. And what was so good to hear is that both the State of New Jersey and Middlesex County are dedicated to the CERT program - funding it, training it, deploying it, making use if it. The State and County are not only dedicated to fully utilizing CERT, but are also dedicated towards enlarging and improving the existing CART team (Community Animal Rescue Team), which is like CERT, but for animals. Many times during a natural disaster, such as Hurricane Sandy, residents are forced to leave their homes for temporary shelters. Unfortunately, only service animals are allowed in the shelters. Middlesex County has a team that will temporarily shelter house pets for the duration of an event like this. The one that was activated during Sandy was in operation for three weeks. In addition to hearing about what already exists, we were made aware of some plans for the future. 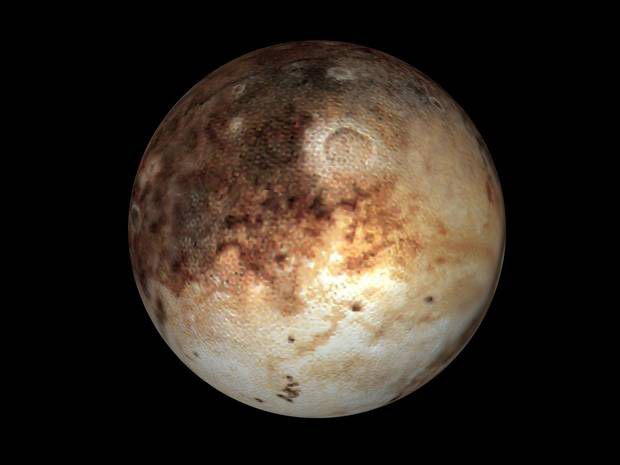 One part of the plan is increased training and drills, which will commence in 2016. And on the Amateur Radio side (which of course, is of great interest to me), John Garmendi N2DV, the RACES/ARES Bureau Chief for the County, gave a talk about how Amateur Radio fits into the scheme of things as far as CERT, the County and the State are concerned. A show of hands indicated that many of our municipal CERT Team members are already licensed Hams. Another show of hands indicated that quite a few of the unlicensed CERT members are very interested in earning their tickets. I raised my hand and volunteered the fact that Marv K2VHW and I, under the auspices of SPARC, will most likely be holding another licensing class in the Spring. It's our hope, that if we can secure a centrally located facility, that maybe we can fit the bill for these people. A class of about 30 or so CERT members becoming licensed Hams would be truly awesome, indeed. It is certainly an exciting and interesting time to be a CERT member in South Plainfield and Middlesex County. I am eagerly looking forward to the days ahead, and am dedicated to assisting the effort in any way that I can.